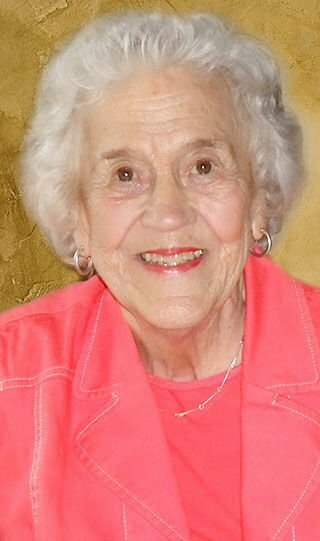 Virginia Dahly Eiden, age 96, of Menomonie, WI and Nisswa, MN passed away on March 26, 2019, at The Neighbors of Dunn County. Jinny was born on May 30, 1922, in Decorah, IA to Charles and Josie (Fuller) Dahly. She graduated from Decorah High School and attended the University of Iowa. Jinny married O.F. (Bud) Eiden in Decorah on August 3, 1946, and her first married years were in Stoughton, WI. After that she lived most of her life in the Brainerd/Nisswa area. Jinny also enjoyed many winters in Naples, FL. Jinny is survived by her son, Tim and his wife, Julie of Menomonie and her grandchildren Katie, Steven and Daniel Eiden. She is also survived by many nieces and nephews and dear friends. She was preceded in death by her parents and seven siblings; her husband of 51 years, Bud; and her daughter, Barbara Eiden-Molinaro. A Memorial Service will be held at 5:00 p.m. on Friday, April 12, 2019, at Olson Funeral Home in Menomonie, with Pastor Heather Wigdahl officiating. There will be visitation at the funeral home one hour prior to the service. A memorial service will be held this summer at the Lutheran Church of the Cross in Nisswa. Interment will be in Nisswa.